Combining dance, music and awe-inspiring visuals, Michael Jackson ONE by Cirque du Soleil brings alive Jackson’s creative genius in a new adventure. You can say we’re part of the King of Pop fan club. You know, we’re a bunch of regular Joes who’ve been known to bust out the moonwalk in the club, wear our hats ever so slightly to the side, and have one glove with us at all times, just in case our moment in the limelight comes. Normal stuff, right? If you agree, you’re speaking our language and will want to experience something jaw-dropping: Michael Jackson ONE by Cirque du Soleil. Yep, that’s right. 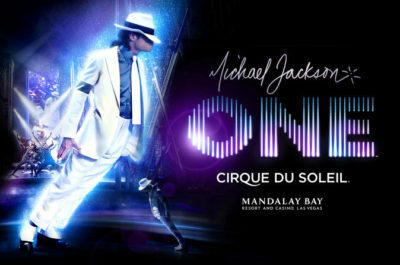 “ONE” is all about the song, the dance and the mega-iconic man behind it all. In order to celebrate the uber-star responsible for earth-altering musical history, it’s only fitting that the lighting, sound, visual, and performance effects are all larger than life…and then some.